The Kolaghat Thermal Power Plant (KTPP) is a Coal fired ther­mal power Plant, con­sist­ing of 6 Units of 210 MW each, situated on the right bank of the Rupnarayan river in the district of Purba Medinipur, West Bengal . This power project first started during the sixth plan period (1980-85). Now, the three units of the power plant which were commissioned in first stage are about 25 years old. Besides being low-productive the units are also highly polluting. The people in the adjoining villages are suffering from pollution caused by the plant in various ways. The plant had been using low-grade coal which produces large quantities of fly-ash. This fly ash destroyed vast tracts of agricultural land, polluting the air and many wetlands and water bodies had been filled up with the waste. Local people complain of breathing trouble. Plant waste has also choked irrigation canals in the area and caused acute water shortage . The lack of treatment of the fly ash generated from this plant has been detrimental to the productivity and quality of the main commercial crops of the surrounding area and is also responsible for some changes in the land use patterns . WBPDCL has decided to rebuild the aged three units with a total capacity 630 MW at its Kolaghat thermal plant with an estimated investment of Rs 1000 crore. West Bengal government is in talks with World Bank for partial funding of the project-cost. WBPDCL is likely to float the tender for the project by early 2014. It would take about two years to complete the project. The project officials expect that the three units will be operative again by 2017. In 2010, local section of the Trinamool party agitated mobilizations by local people to demand jobs on the ground their lands were acquired long time ago. 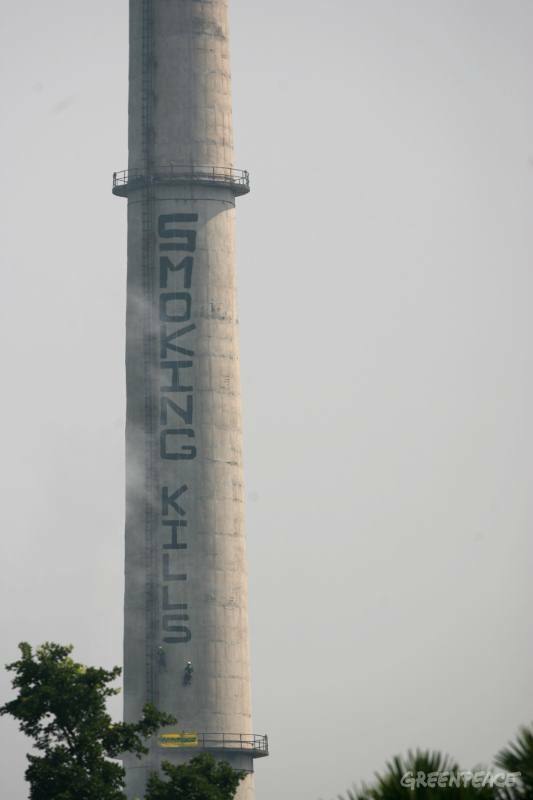 In October 2007 Greenpeace India activists scaled a 76 metre (250ft) smokestack spewing carbon dioxide at the Kolaghat coal fired power station, to paint the message "SMOKING KILLS". 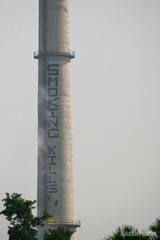 Development of Alternatives According to Greenpeace India activists coal fired power plants is a deadly project and Indian government needs to get away from it immediately. They stressed on the fact that carbonized growth path will be suicidal not only for the health of the country but for the entire planet . According to a research by Dasgupta and Paul (2011), The KTPP authority should take the following measures to improve environment of the surrounding areas. Power Plant should plant more trees surrounding the ash ponds. The cultivation of flowers such as sunflower, China rose is possible on the ash mixed soil. The plant authority may employ some private agencies to examine the possibility of cultivation of such flowers on some parts of ash pond by making a layer of soil on it. If it is possible, it will be extremely helpful to stabilize the ash on the ash pond. The technological development on ash disposal and management in different developed countries should be taken into consideration for examining its feasibility in India. The spreading of ash during the time of transportation and must lay down strict rules and regulations so that private agencies must take precaution while transporting dry ash from one place to another failing which they should be penalized. "Trinamool workers gherao Kolaghat thermal plant, demand jobs for acquired land"